Incredibly bummed about Radiohead being canceled and the whole situation with the death of their drum tech. Hopefully they reschedule within the next year. 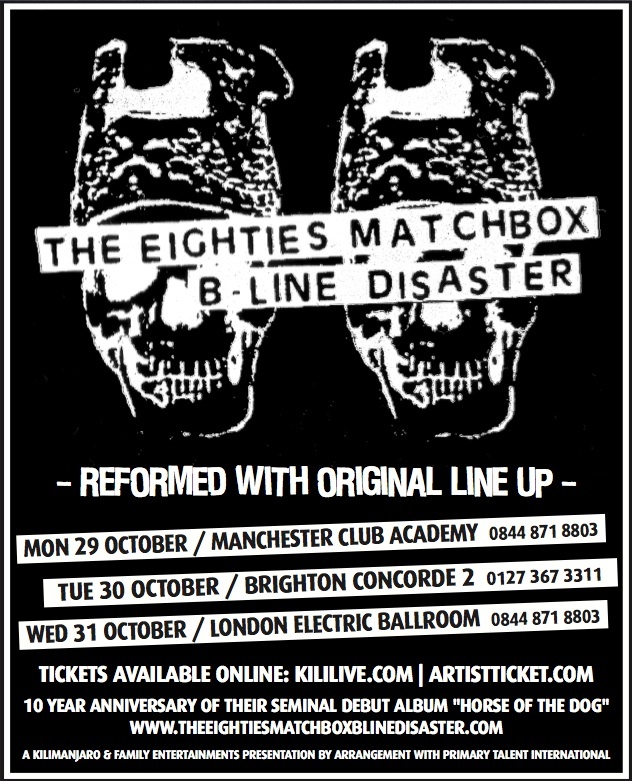 Eighties Matchbox B-Line Disaster in Manchester in October. They were barely broken up long enough for anyone to miss them but I'm not sure if this is a proper reunion or a one-off. Either way, it is a reformation of their original line-up and a promise to play their "debut material" to mark ten years since the release of Horse of the Dog. Apparently I'm going to see Gary Clark Jr. tomorrow night. A friend from work invited me and I'm not doing anything after I work, so hey, why not. Ever Been to a Live Show? Has anybody here ever seen a band or artist perform? Who was it? What did you think of the overall experience? If you haven't, who would you like to see live? I personally have seen both Metallica and Tool play live, and both shows were incredible! In a few weeks, I'm going to see Iron Maiden, and in a little over a month, Motorhead. Led Zeppelin in summer of `73 in Ft Worth....I was 16 and I think it was my 2nd concert. Bad Company in early `75 at the Tulsa Civic Center....they were performing songs from their 1st and 2nd albums. Excellent show! And I got to see Rainbow w/ RJD open for BOC and Black Sabbath at the Tulsa Fairgrounds. <-----This too was a excellent show! That's (one of them) the bad things about being under 18: there are many concerts and shows I can't go to because they sell alcohol there. Because of that, I've been unable to see PJ Harvey, Tricky and Queens of the Stone Age. I'm looking forward to be able to see them later, though. My dream is to experience Radiohead live. That'd be wonderful. Saw Roger Waters "The Wall" at Yankee Stadium Friday night. May go see a free Buddy Guy and John Mayall concert at the World Financial Center Wednesday evening and perhaps Best Coast on the 17th . QUEEN AT THE HAMMERSMITH APOLLO on thursday!!!!!!!!!!!!!!!!!!! !